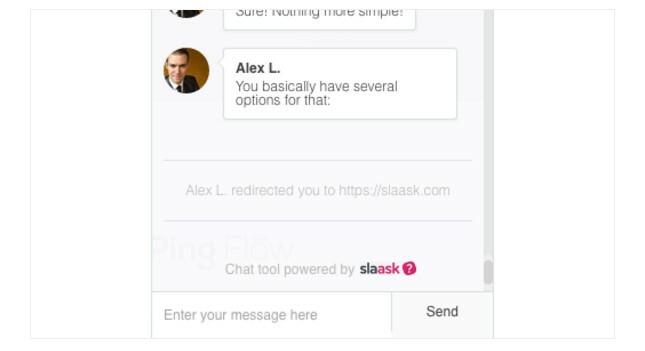 Slaask is a customer chat tool. The first one which offers a 100% integration with slack. This eliminates the need to use a separate chat tool apart from slack. Slaask was developed in San Francisco, C.A. and was launched in March 2015. It uses a customizable “window type” widget to give your customers a good live chat experience without dividing the browser screen horizontally or vertically. There are over 60,000 teams around the world that use slack for communicating amongst each other. Slaask enables them to communicate with their site visitors too. With Slaask all your team and customer communications can be brought at a single place. It allows you to have more conversations, better reactivity and lesser tabs. 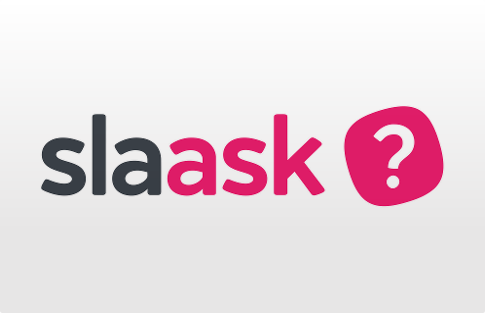 All the current features of Slaask are available for free for a test run. Slaask plans to add some additional features in future, so it will be having tiered pricing plans for premium users. Slack offers over 40 features to customize your widget. You can easily adjust it to match with the look and feel of your website. You can change the colors of the chat bubble (text, background etc. ), customize the text to be displayed to your customer (greetings, title of chat bubble and many other operations. It allows you to respond quickly and conveniently by creating predetermined replies for specific queries. You can also create surveys to get the visitors’ feedback about your product or service. This can be a yes-no question, a rating type question or just an open ended question. You can turn your widget to offline mode if you are not available to answer your visitors and turn it back to the online mode as and when you like it. You can keep it in auto mode which would automatically turn the widget into offline mode if no one from your company is logged into Slack. If a visitor types something into the widget in the offline mode, you will get notified about it through email. You can also create an automated response for the user in this case. Slaask allows you to view the visitor’s information such as the, platform used, browser, IP, language etc. so you can know your customer better and respond accordingly. You can maintain a backup of all your conversations and view them from the conversations tab. A single slack account can be used to manage multiple widgets on multiple websites. You can automatize the redirection of a particular chat to any website you like. Through Slack, Slaask is also made available for Android and iOS. Slaask provides support via help center and Slaask widget. You can search for the community via a knowledge base and can ask questions to users. Easy to implement on any website. Fits easily into your team’s workflow. Does not provide as much analytics as some other customer chat tools provide. The tool is designed for small and mid-sized businesses that prefer to keep all their tools in one place. For more details, please visit: Slaask website.